Salut mes belles!! 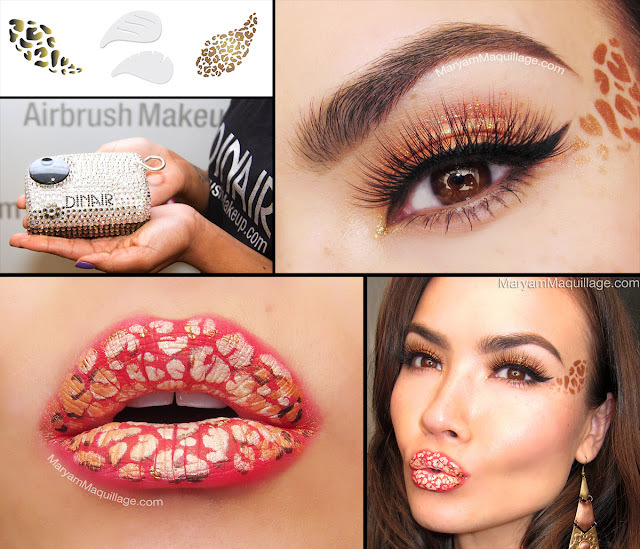 For today's Fantasy Friday installment, I'm featuring a few of the awesome new goodies from Dinair Airbrush Makeup, namely some cool stencils that helped me create this fierce cat-eye and leopard-lovin' lippies. 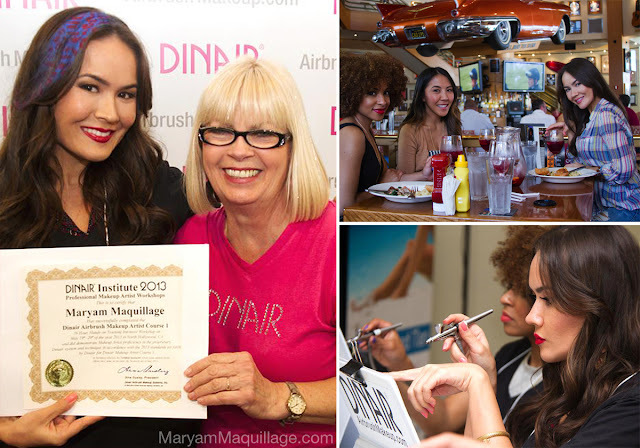 This look took no time to complete and barely involved any effort -- it's perfect for those of us who subscribe to the "ain't nobody got time for that" philosophy... :) Dinair's easy-to-use stencils have made fantasy makeup attainable for everyone and saved so much time for MUA who specialize in makeup art! Genius!! With the popularity of the American television show Mad Men and the recent release of the film version of S. Scott Fitzgerald's The Great Gatsby, vintage clothing and accessories are becoming hot items with today’s fashion’s elite. From striking headpieces to 1960’s style A-line dresses, the fashion world is being inundated with old school designs. Jewelry is also getting the vintage treatment with pieces like the sautoir necklace reemerging. You don’t have to dress from head-to-toe like Mad Men’s Peggy to partake in this growing trend. 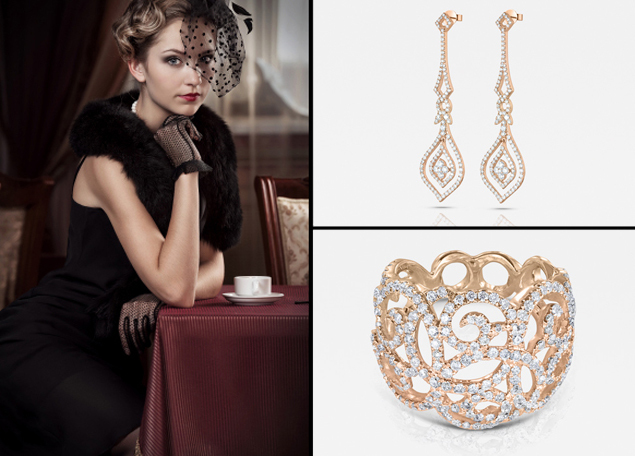 Incorporate a classic locket necklace or dramatic brooch and glam up any simple look. The best thing about this trend is that you don’t have to shell out a lot of money for vintage duds and accessories as many of these items can be found in thrift shops or at flea markets. Bonjour mes belles! First and foremost, a HUGE CONGRATULATIONS to the winners of my Giveaway -- Tephie S., Jennifer F. & Jessica M., and thanks so much to everyone who participated. I have more giveaways coming up soon, so keep glued for announcements! Read more for details & how-to's! Salut mes belles! My Missha giveaway is coming to a close in less than 2 days, so this is a last chance post (+makeup look :) reminding you to enter to win Missha Spring / Summer Collection & Snail Mask! 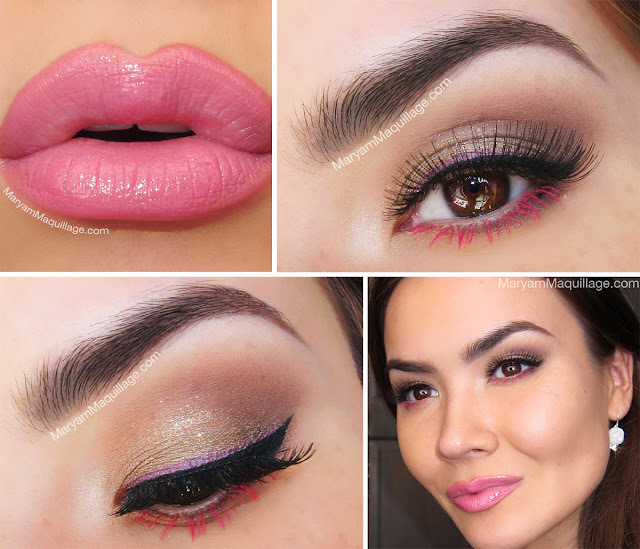 Today's Wearable-Wednesday look is featuring two items from the giveaway: the Graceful Muse Palette & Mambo Pink lippie. Good luck everyone! 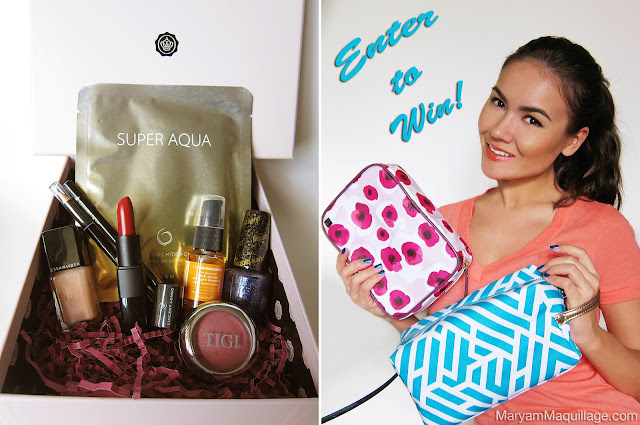 Read more for deets & GIVEAWAY raffle! Salut mes belles! Today's post is another chapter from my Hair Story, featuring one of my favorite products and trustiest hair treatments: L'Oréal Professionnel Mythic Oil. The system features in-salon and at-home products designed to balance the natural oil levels in the hair, resulting in cleansed roots and lustrous, moisturized ends. The Mythic Oil experience nourishes your hair, while indulging you in the ultimate oil ritual.